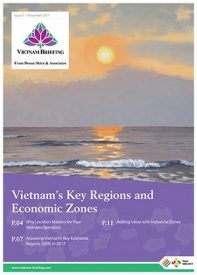 Labor intensive sectors continue to be the growth drivers for Vietnam’s economic development. However, as the world moves towards Industry 4.0, the government has to introduce significant reforms across all the main sectors of the economy, to increase the productivity, skills, and quality of labor to remain competitive. Since 2008, labor productivity in Vietnam has increased by 22.5 percent. In accordance with 2017 prices, productivity is estimated to be VND 93.2 million per worker (US$4,159), an increase of VND 10 million compared to 2016. Productivity has not grown relative to the economic growth in Vietnam. In accordance with 2010 prices, the average annual productivity growth rate between 2011 and 2017 was 4.7 percent, while the growth in investment capital was higher at nine percent. In the same period, the economy grew from US$105 billion to US$220 billion. This discrepancy shows that the economy depends on other non-labor factors as well, in addition to productivity. The gap between the growth in economy and productivity has led to an increase in wages, faster than the productivity growth. From 2004 to 2015, the average wage increased by 6.67 percent, while labor productivity only grew by 4.96 percent. Wage growth with respect to productivity has increased the highest for FDI firms, while for private firms they have stayed at almost the same levels. For state-owned enterprises, the growth in wages was below the productivity growth. Industries with slow productivity growth such as mining, post and telecommunications, and transportation, have seen wages grow faster than productivity. For the utility sector, the wage growth has been much slower, while for manufacturing industries, trade, and construction, they have stayed at almost the same levels. If the wage growth continues to outgrow productivity, firms will see reduced profits, which would compel them to reduce hiring or shift their businesses to other competitive countries. Growth in wages, need to be at par with productivity if Vietnam wants to remain competitive. Historically, increase in minimum wages have led to an increase in average wages, reduced profits, and lower employment, especially for FDI and private firms. Labor-intensive sectors usually move towards automation, while capital-intensive sectors reduce investments in machinery. From 2008 to 2016, the sectors with high labor productivity were mining, production and distribution of electricity and gas, finance, insurance, technological activities, real estate, and water supply. During the same period, labor productivity was low for the processing and manufacturing industries and lowest for the agriculture, forestry, and fisheries sector. According to Vietnam’s General Statistics Office, the average monthly salary in 2017 was VND 6.6 million (US$290), up 9.3 percent compared to 2016. This was higher than the growth in the regional minimum wages in 2017, which was 7.3 percent. In 2017, monthly average salaries for FDI and private firms grew by 13.5 and 3.3 percent respectively, compared to 2016, to VND 6.7 million (US$293) and VND 5.6 million (US$246) respectively. According to a study by VietnamWorks, a recruitment company in Vietnam, below are the highest average salaries in Vietnam. The number of employed laborers in Vietnam increased from 53.3 million in 2016 to 53.7 million in 2017. Employed laborers in agriculture, forestry, fishery decreased from 22.3 million in 2016 to 21.6 million in 2017, while industry and construction saw an increase from 13.2 million in 2016 to 13.8 million in 2017. Services also witnessed a growth from 17.8 million in 2016 to 18.3 million in 2017. Workforce between the ages of 15 and 39 years currently accounts for nearly half of the total labor force in Vietnam. The share of trained workers within working age in 2017 was estimated at 21.5 percent, higher than 20.6 percent in 2016. Urban areas accounted for around 32 percent of the employed laborers, while the rest were employed in the rural areas. Male employees accounted for slightly more than half of the Vietnamese workforce. In 2017, unemployment in the working age group stood at 2.24 percent, of which rates for urban and rural were 3.18 and 1.78 percent respectively. Underemployment of working age workers stood at 1.63 percent, of which rates for urban and rural areas were 0.85 and 2.07 percent. According to the government’s Q4 2017 labor force survey, 67.8 percent of the labor force reside in the rural areas. The Red River Delta and North Central along with the South Central Coast account for the largest share in the labor force at 21.7 and 21.6 percent respectively. Mekong River Delta and Southeast follow at 18.9 and 17.1 percent respectively. The average national labor force participation stood at 76.9 percent. Highest rates are in the Northern Midlands and Mountains and the Central Highlands at 84.9 and 83.3 percent respectively. Areas with lowest participation rates were the Red River Delta and Southeast. Sector-wise, majority of the labor force in agriculture, forestry, and fishery reside in the Northern Midlands and Mountains, Central Highlands, and the Mekong River Delta. As for the industry and construction sector, the majority reside in the Southeast (Ho Chi Minh City) and the Red River Delta (Hanoi). In addition, Ho Chi Minh City, Hanoi, and Mekong River Delta account for the majority of the labor force in services. The major challenges facing the labor market in Vietnam include lack of skilled labor, the impact of industry 4.0, and the need for labor reforms due to the upcoming free trade agreements. FDI firms continue to struggle in hiring skilled labor in Vietnam. 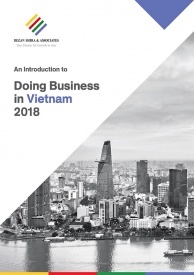 According to the 2018 Global Talent Competitiveness Index (GTCI), which assesses countries in terms of their ability to attract, develop, and retain talent, Vietnam ranks 87th amongst 119 countries. Major challenges include the lack of technology infrastructure, R&D spending, vocational, and technical skills. Lack of skilled labor will slow down the economic transition from labor-intensive industries to high-tech goods, which will reduce Vietnam’s competitiveness. Currently, around 40 percent of FDI firms in Vietnam find it difficult to recruit skilled employees. The government has taken steps to increase vocational and technical training in order to meet the requirements of the labor market. In March 2018, the government introduced Decree No. 49/2018/ND-CP that provides for the accreditation of vocational education. As of February 2018, there are more than 1,900 vocational training centers across Vietnam, including 395 colleges and 545 vocational schools, which offer programs in tourism, beauty services, IT, construction, fashion, garment and textiles, pharmaceuticals, precision mechanics and hotel management. The government aims to provide vocational training to 2.2 million people in 2018. Global businesses are fast moving towards Industry 4.0, and if the Vietnamese government does not take steps to enhance human capital, it will have a significant impact on the economy. According to the International Labor Organization (ILO), 86 percent of textile and footwear industries workers in Vietnam are at risk of losing their jobs due to technology. Majority of the unemployment will be seen amongst the workforce just entering the market. Hence, the government has to introduce reforms in education and industrial training to bring it more in line with current industry demands. According to the World Economic Forum (WEF)’s Readiness for the Future of Production Report 2018, Vietnam was ranked among those that are not currently ready for Industry 4.0. It ranked 90th in technology and innovation and 70th in human capital, among 100 countries. Once the Comprehensive and Progressive Agreement for Trans-Pacific Partnership (CPTPP) and EU-Vietnam Free Trade Agreement (EVNFTA) comes into effect, labor costs are predicted to go higher. These agreements are beneficial as it improves market access for Vietnamese exporters. However, the government needs to focus on labor reforms, technical skills, and corporate governance to fully realize the benefits of the agreement. Labor rights are amongst the key provisions in both the upcoming agreements. They require members to adopt and maintain the rights as set out in the 1998 ILO Declaration in their laws, institutions, and practices. Although Vietnam has taken few steps to meet the requirements through institutional and legal reforms, more needs to done in terms of enforcement.